On 18-12-1975 Sia was born in Adelaide, South Australia, Australia. She made her 25 million dollar fortune with 1000 Forms of Fear, This Is Acting & Everyday Is Christmas. The musician her starsign is Sagittarius and she is now 43 years of age. Sia Furler started performing as a child and grew up to be an internationally known star. In 1997, she decided to move to London to be with her boyfriend, Dan Pontifex. Unfortunately, shortly after, Pontifex died in a car crash and Sia's album Healing Is Difficult was dedicated to him and this whole experience. In 2014, she married a filmmaker Erik Anders Lang and even though the two are still legally married, they announced separation in 2016. Sia has suffered from severe depression and she even had suicidal thoughts at one point. She considered permanently retiring from her music career after she announced she was diagnosed with Graves' disease. However, after rest and therapy, her health started improving. Sia is vegan and has been a part of many animal right campaigns including the advertisement for PETA and as Oscar's Law campaign. Where does Sia live? And how much money does Sia earn? Residence She owns a house in Palm Springs, California. Who is Sia dating in 2019? 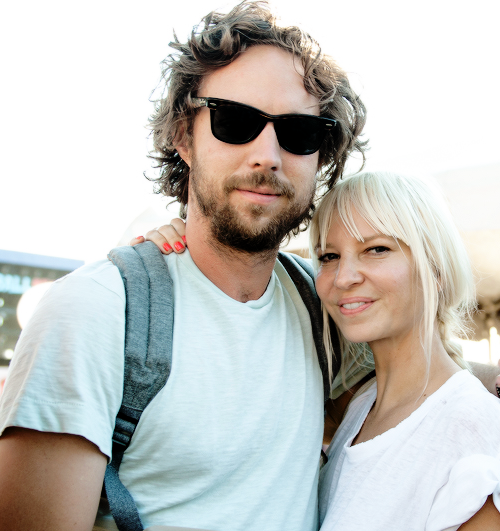 Will the marriage of Australian musician Sia and current Husband, Erik Anders Lang survive 2019? This talented flamboyant musician originating from Adelaide, South Australia, Australia has a slim body & round face type. Does Sia have official Social Media profiles?